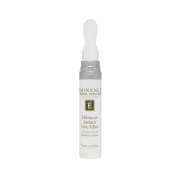 Achieve a calm and comfortable complexion with the Eminence Starter Set for Sensitive Skin. Bringing together five of the brand’s bestselling products for those with easily irritated skin, the set will leave behind a clear, hydrated and healthy visage. This gentle cleanser uses Rose Petals and Rose Oil to soothe, hydrate, soften and refresh even the most sensitive, irritated skin. The milky, rich texture will feel silky and nourishing on your skin as it clears away excess oil, dirt and debris. 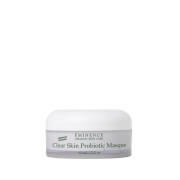 Clarify skin with a nourishing and skin-refining face mask ideal for sensitive and oily skin types. Powered by Maize Flour, a natural exfoliant that gently buffs away dead skin and impurities, the formula contains Rosehip, which infuses skin with high quantities of antioxidant Vitamin C. Irritated skin is then soothed and moisturized by Honey and skin-smoothing Zinc Oxide. Gently retexturing, the masque leaves skin looking revived and purified. Transform your skin with an ultra-nourishing, antioxidant-rich gel formula that uses Honey to intensely hydrate the skin, whilst a BioComplex helps to smooth out the appearance of wrinkles and balance the skin tone. Natural moisture levels are boosted and the complexion is firmed and brightened for a toned, radiant and youthful finish. A gentle cream that calm redness, soothes eczema, repairs damage and helps the skin retain moisture with the help of Red Rose Petals, Lemon, and Vitamins A and E. Kind to your skin yet tough on skin damage and irritation. 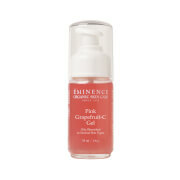 Improve the appearance of rosacea and acne without sacrificing soothing moisture. Utilizing Lemon Juice as a natural purifier, the moisturizer helps to reduce excess oil on the skin surface while leaving the pores tight and the skin toned.